Heat from the earth can be used as an energy source in many ways, from large and complex power stations to small and relatively simple pumping systems. This heat energy, known as geothermal energy, can be found almost anywhere—as far away as remote deep wells in Indonesia and as close as the dirt in our backyards. Many regions of the world are already tapping geothermal energy as an affordable and sustainable solution to reducing dependence on fossil fuels, and the global warming and public health risks that result from their use. For example, as of 2013 more than 11,700 megawatts (MW) of large, utility-scale geothermal capacity was in operation globally, with another 11,700 MW in planned capacity additions on the way . These geothermal facilities produced approximately 68 billion kilowatt-hours of electricity, enough to meet the annual needs of more than 6 million typical U.S. households. Geothermal plants account for more than 25 percent of the electricity produced in both Iceland and El Salvador . With more than 3,300 megawatts in eight states, the United States is a global leader in installed geothermal capacity. Eighty percent of this capacity is located in California, where more than 40 geothermal plants provide nearly 7 percent of the state’s electricity . In thousands of homes and buildings across the United States, geothermal heat pumps also use the steady temperatures just underground to heat and cool buildings, cleanly and inexpensively. Below Earth's crust, there is a layer of hot and molten rock, called magma. Heat is continually produced in this layer, mostly from the decay of naturally radioactive materials such as uranium and potassium. The amount of heat within 10,000 meters (about 33,000 feet) of Earth's surface contains 50,000 times more energy than all the oil and natural gas resources in the world. The areas with the highest underground temperatures are in regions with active or geologically young volcanoes. These "hot spots" occur at tectonic plate boundaries or at places where the crust is thin enough to let the heat through. The Pacific Rim, often called the Ring of Fire for its many volcanoes, has many hot spots, including some in Alaska, California, and Oregon. Nevada has hundreds of hot spots, covering much of the northern part of the state. These regions are also seismically active. Earthquakes and magma movement break up the rock covering, allowing water to circulate. As the water rises to the surface, natural hot springs and geysers occur, such as Old Faithful at Yellowstone National Park. The water in these systems can be more than 200°C (430°F). Seismically active hotspots are not the only places where geothermal energy can be found. There is a steady supply of milder heat—useful for direct heating purposes—at depths of anywhere from 10 to a few hundred feet below the surface virtually in any location on Earth. Even the ground below your own backyard or local school has enough heat to control the climate in your home or other buildings in the community. In addition, there is a vast amount of heat energy available from dry rock formations very deep below the surface (4–10 km). Using the emerging technology known as Enhanced Geothermal Systems (EGS), we may be able to capture this heat for electricity production on a much larger scale than conventional technologies currently allow. While still primarily in the development phase, the first demonstration EGS projects provided electricity to grids in the United States and Australia in 2013. If the full economic potential of geothermal resources can be realized, they would represent an enormous source of electricity production capacity. In 2012, the U.S. National Renewable Energy Laboratory (NREL) found that conventional geothermal sources (hydrothermal) in 13 states have a potential capacity of 38,000 MW, which could produce 308 million MWh of electricity annually . State and federal policies are likely to spur developers to tap some of this potential in the next few years. The Geothermal Energy Association estimates that 125 projects now under development around the country could provide up to 2,500 megawatts of new capacity . As EGS technologies improve and become competitive, even more of the largely untapped geothermal resource could be developed. The NREL study found that hot dry rock resources could provide another 4 million MW of capacity, which is equivalent to more than all of today’s U.S. electricity needs . Not only do geothermal resources in the United States offer great potential, they can also provide continuous baseload electricity. According to NREL, the capacity factors of geothermal plants—a measure of the ratio of the actual electricity generated over time compared to what would be produced if the plant was running nonstop for that period—are comparable with those of coal and nuclear power . With the combination of both the size of the resource base and its consistency, geothermal can play an indispensable role in a cleaner, more sustainable power system. Geothermal springs for power plants. Currently, the most common way of capturing the energy from geothermal sources is to tap into naturally occurring "hydrothermal convection" systems, where cooler water seeps into Earth's crust, is heated up, and then rises to the surface. Once this heated water is forced to the surface, it is a relatively simple matter to capture that steam and use it to drive electric generators. Geothermal power plants drill their own holes into the rock to more effectively capture the steam. There are three basic designs for geothermal power plants, all of which pull hot water and steam from the ground, use it, and then return it as warm water to prolong the life of the heat source. In the simplest design, known as dry steam, the steam goes directly through the turbine, then into a condenser where the steam is condensed into water. In a second approach, very hot water is depressurized or "flashed" into steam which can then be used to drive the turbine. In the third approach, called a binary cycle system, the hot water is passed through a heat exchanger, where it heats a second liquid—such as isobutane—in a closed loop. Isobutane boils at a lower temperature than water, so it is more easily converted into steam to run the turbine. These three systems are shown in the diagrams below. The choice of which design to use is determined by the resource. If the water comes out of the well as steam, it can be used directly, as in the first design. If it is hot water of a high enough temperature, a flash system can be used; otherwise it must go through a heat exchanger. Since there are more hot water resources than pure steam or high-temperature water sources, there is more growth potential in the binary cycle, heat exchanger design. The largest geothermal system now in operation is a steam-driven plant in an area called the Geysers, north of San Francisco, California. Despite the name, there are actually no geysers there, and the heat that is used for energy is all steam, not hot water. Although the area was known for its hot springs as far back as the mid-1800s, the first well for power production was not drilled until 1924. Deeper wells were drilled in the 1950s, but real development didn't occur until the 1970s and 1980s. By 1990, 26 power plants had been built, for a capacity of more than 2,000 MW. Because of the rapid development of the area in the 1980s, and the technology used, the steam resource has been declining since 1988. Today, owned primarily by the California utility Calpine and with a net operating capacity of 725 MW, the Geysers facilities still meets nearly 60 percent of the average electrical demand for California's North Coast region (from the Golden Gate Bridge north to the Oregon border) . The plants at the Geysers use an evaporative water-cooling process to create a vacuum that pulls the steam through the turbine, producing power more efficiently. But this process loses 60 to 80 percent of the steam to the air, without re-injecting it underground. While the steam pressure may be declining, the rocks underground are still hot. To remedy the situation, various stakeholders partnered to create the Santa Rosa Geysers Recharge Project, which involves transporting 11 million gallons per day of treated wastewater from neighboring communities through a 40-mile pipeline and injecting it into the ground to provide more steam. The project came online in 2003, and in 2008 provided enough additional electricity for approximately 100,000 homes . One concern with open systems like the Geysers is that they emit some air pollutants. Hydrogen sulfide—a toxic gas with a highly recognizable "rotten egg" odor—along with trace amounts of arsenic and minerals, is released in the steam. Salt can also pose an environmental problem. At a power plant located at the Salton Sea reservoir in Southern California, a significant amount of salt builds up in the pipes and must be removed. While the plant initially put the salts into a landfill, they now re-inject the salt back into a different well. With closed-loop systems, such as the binary cycle system, there are no emissions and everything brought to the surface is returned underground. Direct use of geothermal heat. Geothermal springs can also be used directly for heating purposes. Geothermal hot water is used to heat buildings, raise plants in greenhouses, dry out fish and crops, de-ice roads, improve oil recovery, aid in industrial processes like pasteurizing milk, and heat spas and water at fish farms. In Klamath Falls, Oregon, and Boise, Idaho, geothermal water has been used to heat homes and buildings for more than a century. On the east coast, the town of Warm Springs, Virginia obtains heat directly from spring water as well, using springs to heat one of the local resorts . In Iceland, virtually every building in the country is heated with hot spring water. In fact, Iceland gets more than 50 percent of its primary energy from geothermal sources . In Reykjavik, for example (population 118,000), hot water is piped in from 25 kilometers away, and residents use it for heating and for hot tap water. Ground-source heat pumps. A much more conventional way to tap geothermal energy is by using geothermal heat pumps to provide heat and cooling to buildings. Also called ground-source heat pumps, they take advantage of the constant year-round temperature of about 50°F that is just a few feet below the ground’s surface. Either air or antifreeze liquid is pumped through pipes that are buried underground, and re-circulated into the building. In the summer, the liquid moves heat from the building into the ground. In the winter, it does the opposite, providing pre-warmed air and water to the heating system of the building. In the simplest use of ground-source heating and cooling, a tube runs from the outside air, under the ground, and into a building's ventilation system. More complicated, but more effective, systems use compressors and pumps—as in electric air conditioning systems—to maximize the heat transfer. In regions with temperature extremes, such as the northern United States in the winter and the southern United States in the summer, ground-source heat pumps are the most energy-efficient and environmentally clean heating and cooling systems available. Far more efficient than electric heating and cooling, these systems can circulate as much as 3 to 5 times the energy they use in the process. The U.S. Department of Energy found that heat pumps can save a typical home hundreds of dollars in energy costs each year, with the system typically paying for itself in 8 to 12 years. Tax credits and other incentives can reduce the payback period to 5 years or less . More than 600,000 ground-source heat pumps supply climate control in U.S. homes and other buildings, with new installations occurring at a rate of about 60,000 per year . While this is significant, it is still only a small fraction of the U.S. heating and cooling market, and several barriers to greater penetration into the market remain. For example, despite their long-term savings, geothermal heat pumps have higher up-front costs. In addition, installing them in existing homes and businesses can be difficult, since it involves digging up areas around a building’s structure. Finally, many heating and cooling installers are simply not familiar with the technology. However, ground-source heat pumps are catching on in some areas. In rural areas without access to natural gas pipelines, homes must use propane or electricity for heating and cooling. Heat pumps are much less expensive to operate than these conventional systems, and since buildings are generally widely spread out, installing underground loops is often not an issue. Underground loops can be easily installed during construction of new buildings as well, resulting in savings for the life of the building. Furthermore, recent policy developments are offering strong incentives for homeowners to install these systems. The 2008 economic stimulus bill, Emergency Economic Stabilization Act of 2008, included an eight-year extension (through 2016) of the 30 percent investment tax credit, with no upper limit, to all home installations of EnergyStar certified geothermal heat pumps . Geothermal energy has the potential to play a significant role in moving the United States (and other regions of the world) toward a cleaner, more sustainable energy system. It is one of the few renewable energy technologies that can supply continuous, baseload power. Additionally, unlike coal and nuclear plants, binary geothermal plants can be used a flexible source of energy to balance the variable supply of renewable resources such as wind and solar. Binary plants have the capability to ramp production up and down multiple times each day, from 100 percent of nominal power down to a minimum of 10 percent . The costs for electricity from geothermal facilities are also becoming increasingly competitive. The U.S. Energy Information Administration (EIA) projected that the levelized cost of energy (LCOE) for new geothermal plants (coming online in 2019) will be less than 5 cents per kilowatt hour (kWh), as opposed to more than 6 cents for new natural gas plants and more than 9 cents for new conventional coal . There is also a bright future for the direct use of geothermal resources as a heating source for homes and businesses in any location. However, in order to tap into the full potential of geothermal energy, two emerging technologies require further development: Enhanced Geothermal Systems (EGS) and co-production of geothermal electricity in oil and gas wells. Enhanced geothermal systems. Geothermal heat occurs everywhere under the surface of the earth, but the conditions that make water circulate to the surface are found in less than 10 percent of Earth's land area. An approach to capturing the heat in dry areas is known as enhanced geothermal systems (EGS) or "hot dry rock". The hot rock reservoirs, typically at greater depths below the surface than conventional sources, are first broken up by pumping high-pressure water through them. The plants then pump more water through the broken hot rocks, where it heats up, returns to the surface as steam, and powers turbines to generate electricity. The water is then returned to the reservoir through injection wells to complete the circulation loop. Plants that use a closed-loop binary cycle release no fluids or heat-trapping emissions other than water vapor, which may be used for cooling . A 2006 study by MIT found that EGS technology could provide 100 gigawatts of electricity by 2050 . The Department of Energy, several universities, the geothermal industry, and venture capital firms (including Google) are collaborating on research and demonstration projects to harness the potential of EGS. The Newberry Geothermal Project in Bend, Oregon has recently made significant progress in reducing EGS project costs and eliminating risks to future development . The DOE hopes to have EGS ready for commercial development by 2015. Australia, France, Germany, and Japan also have R&D programs to make EGS commercially viable. One cause for careful consideration with EGS is the possibility of induced seismic activity that might occur from hot dry rock drilling and development. This risk is similar to that associated with hydraulic fracturing, an increasingly used method of oil and gas drilling, and with carbon dioxide capture and storage in deep saline aquifers. Though a potentially serious concern, the risk of an induced EGS-related seismic event that can be felt by the surrounding population or that might cause significant damage currently appears very low when projects are located an appropriate distance away from major fault lines and properly monitored. Appropriate site selection, assessment and monitoring of rock fracturing and seismic activity during and after construction, and open, transparent communication with local communities are also critical. Low-temperature and co-production of geothermal electricity in oil and gas wells. Low-temperature geothermal energy is derived from geothermal fluid found in the ground at temperatures of 150ºC (300ºF) or less. These resources are typically utilized in direct-use applications, such as heating buildings, but can also be used to produce electricity through binary cycle geothermal processes. Oil and gas fields already under production represent a large potential source of this type of geothermal energy. In many existing oil and gas reservoirs, a significant amount of high-temperature water or suitable high-pressure conditions are present, which could allow for the co-production of geothermal electricity along with the extraction of oil and gas resources. In some cases, exploiting these geothermal resources could even enhance the extraction of the oil and gas. An MIT study estimated that the United States has the potential to develop 44,000 MWs of geothermal capacity by 2050 by coproducing geothermal electricity at oil and gas fields—primarily in the Southeast and southern Plains states. The study projected that such advanced geothermal systems could supply 10 percent of U.S. baseload electricity by 2050, given R&D and deployment over the next 10 years . According to DOE, an average of 25 billion barrels of hot water is produced in United States oil and gas wells each year. This water, which has historically been viewed as an inconvenience to well operators, could be harnessed to produce up to 3 gigawatts of clean, reliable baseload energy . This energy could not only reduce greenhouse gas emissions, it could also increase profitability and extend the economic life of existing oil and gas field infrastructure. The DOE’s Geothermal Technologies Office is working toward a goal of achieving widespread production of low-temperature geothermal power by 2020. These exciting new developments in geothermal will be supported by unprecedented levels of federal R&D funding. Under, the American Recovery and Reinvestment Act of 2009, $400 million of new funding was allocated to the DOE’s Geothermal Technologies Program. Of this $90 million went to fund seven demonstration projects to prove the feasibility of EGS technology. Another $50 million funded 17 demonstration projects for other new technologies, including co-production with oil and gas and low temperature geothermal. The remaining funds went towards exploration technologies, expanding the deployment of geothermal heat pumps, and other uses. These investments are already beginning to expand the horizons of geothermal energy production and will likely continue to produce significant net benefits in the future . Geothermal Energy Association (GEA). 2013. Geothermal: International Market Overview Report. U.S. Energy Information Administration (EIA). 2012. International Energy Statistics. Renewables: Electricity Generation: Geothermal. Geothermal Energy Association (GEA). 2013. 2013 Annual US Geothermal Power Production and Development Report. SNL data. National Renewable Energy Laboratory (NREL). 2012. U.S. Renewable Energy Technical Potentials: A GIS-Based Analysis. National Renewable Energy Laboratory (NREL). 2010. Energy Technology Cost and Performance DataEnergy Technology Cost and Performance Data. City of Santa Rosa, CA. Geysers Expansion. Virginia Tech. Hot Springs in the Southeastern United States. National Energy Authority and Iceland Ministry of Industries and Commerce. 2006. Energy In Iceland: Historical Perspective, Present Status, Future Outlook, Second edition. Department of Energy – Oak Ridge National Laboratory (ORNL). 2008. Geothermal (Ground-Source) Heat Pumps: Market Status, Barriers to Adoption, and Actions to Overcome Barriers. Report ORNL/TM-2008/232. Energy Star. Federal Tax Credits for Energy Efficiency. U.S. Energy Information Administration (EIA). 2014. Annual Energy Outlook 2014. Office of Energy Efficiency and Renewable Energy (EERE). 2008a. An evaluation of enhanced geothermal systems technology. Washington, DC: U.S. Department of Energy. Tester, J. et al. 2006. 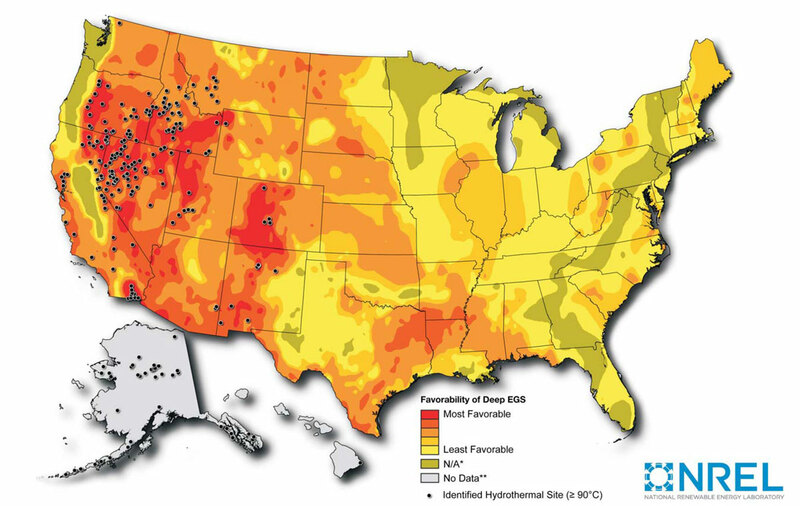 The Future of Geothermal Energy: Impact of Enhanced Geothermal Systems (EGS) on the United States in the 21st Century. Massachussetts Institute of Technology and Idaho National Laboratory. Geothermal Energy Association (GEA). 2013. Annual US Geothermal Power Production and Development Report. Geothermal Energy Association (GEA). 2012. Annual US Geothermal Power Production and Development Report. 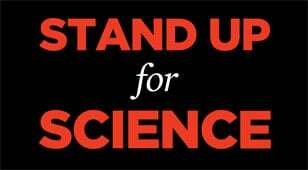 We are closely monitoring the Trump administration—and fighting back whenever science is attacked, undermined, or disregarded.